Mark Smith’s Spell Quest: Grimm’s Journey is this week’s iOS Game of the Week, and it’s a fun one. You’ll need to spell words to move Grimm from left to right, with longer words causing more damage to the baddies you encounter. You’ll pull letter tiles from a grid below, and some tiles will give you power ups, others will poison you. It’s a fun mix. Check out our video below for some gameplay footage. 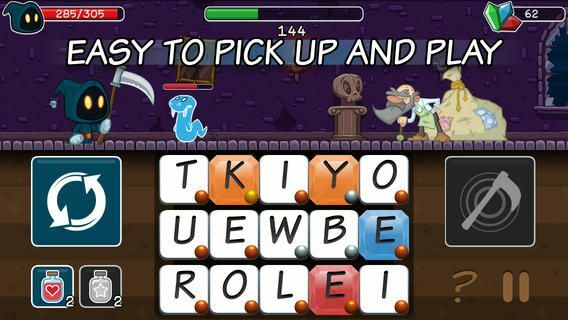 If you like word games and you like damaging scary monsters, you’ll love Spell Quest: Grimm’s Journey. If you want to read more of our thoughts on the game, check out Evan’s review right here. Spell Quest: Grimm’s Journey is available for free in the App Store right now.